First, it's starting to seem strange using the name Thumper, now that we're not using trail names on the Appalachian Trail. So from now on, you'll hear me calling Thumper by her real name, Liv (short for Olivia). Besides, I can't think of a more perfect name for someone so determined to live an adventurous life. 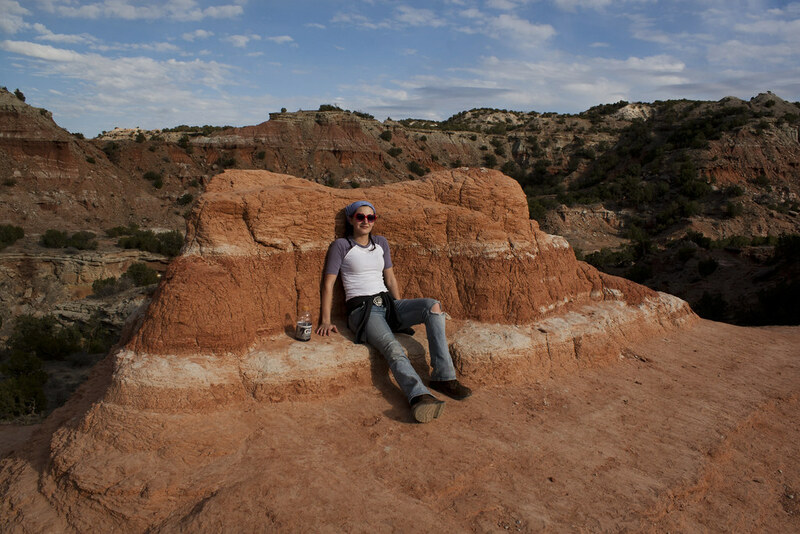 Anyway, on day six, after nearly going off road, Liv and I drove south of Amarillo, Texas to Palo Duro Canyon. We didn't know anything about the place, but we saw it on our atlas and decided to check it out. 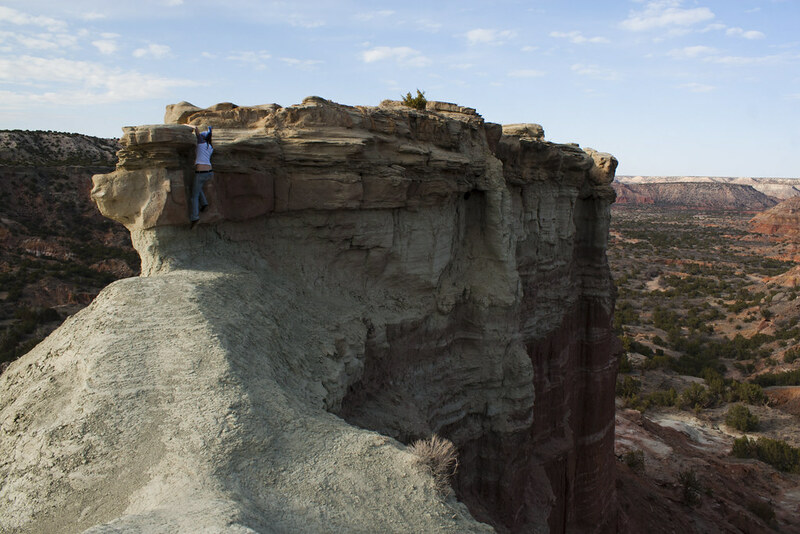 Turns out, it is the second largest canyon in the United States and is often referred to as The Grand Canyon of Texas. The highlight of the park seemed to be a hoodoo called Lighthouse Peak, so we parked at a trailhead for a six mile hike that would lead us to it. It was an beautiful hike and the weather was perfect. We climbed from the canyon floor to the base of Lighthouse Peak, and then to the top of Coppertone. This is what we were waiting for, getting west and out of the car to hike in some amazing places.